I’ve always believed that before knowing what fits your frame comes knowing which colours suit you best/how best to combine colours in such a way that they work and you don’t look like a clown. And in these days of colourful, colourey, colouresque………………fashion, it has become all the more important to define your style by mixing (colours) well. In the course of my work, I stumbled upon http://fashionbombdaily.com/2010/04/16/the-color-wheel-how-to-combine-colors-wardrobe-accessories/ which is absolutely awesome and succinct. Being the good girl that I am, I would rather insert the link than plagiarise *wink*. 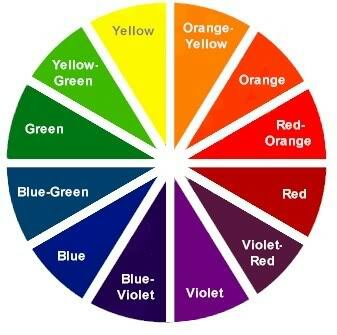 In the post, Danielle is basically teaching us all how to combine using the colour wheel (see below). Do check out the link for great info that I absolutely agree with. It’s very useful stuff, trust me and would take to a level that’s beyond just sticking to extant rules like ‘light colours over dark colours’ or ‘black goes with everything’ or white stripes go best with blue and red stripes……. 1- Carry a planner. Because, obviously, people with plans need a planner. So what if your “appointments” consist of trash pick-up schedules, your (twice-a-year) dental visits, and a wedding you have no intentions of actually attending? One day you might just have to pencil in that date with Ryan Gosling. 2- Wear shades like a boss. Seriously. If you don’t believe me, try it out in the mirror…something about occluding your eyes (**cough, under eye circles) makes you walk taller, speak stronger, and just…stride with confidence. Important people stride with confidence. 3- Keep your accessories sophisticated. I can’t tell you how many times I’ve worn a nice coat over a frumpy tee <bra optional>…paired with a stylish watch, sharp boots, new scarf, and…duh….shades. Even if you’re just running to the market, this look will carry you through the situation with class. extremely lovely, i like! This combination is flattering for just about anyone. Not too flared, not too pleated, the bow prints on the dress give it an almost geometric print look. The shoes are awesome without screaming. Cobalt is flattering on everyone. It’s one of those colors that works universally. I like the idea of a cute dress with cobalt accessories to brighten it up. In this case, the more the merrier accessory and clothing wise (other than cobalt makeup! ).